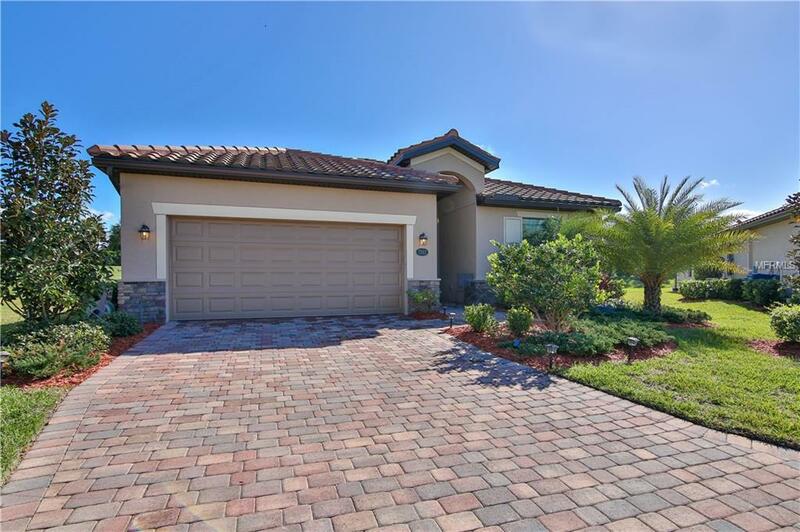 Enjoy the Florida lifestyle in this 3 BR/2BA Capri model home, built by Lennar. 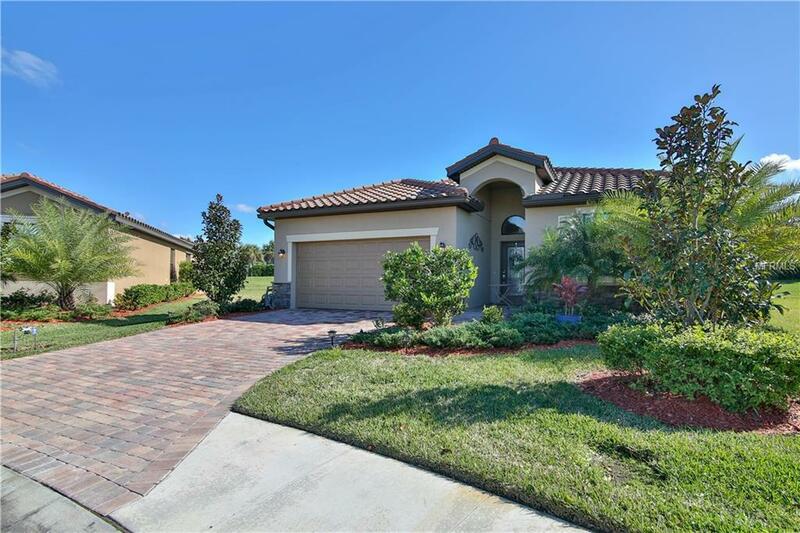 This home is located on a private cul-de-sac on a large lot with open green space. 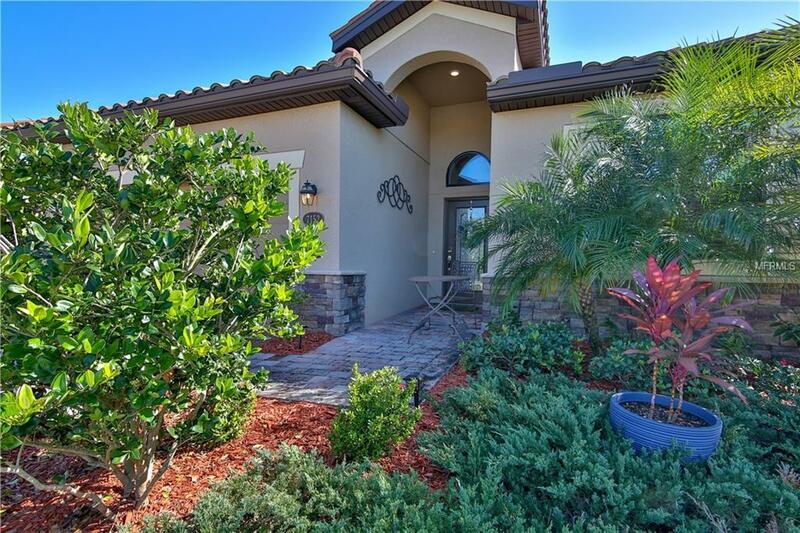 A brick paver driveway, tile roof, brick facade (customized) and tropical landscaping accent the front exterior of the home. The bright interior features an open layout with crown molding, and ceiling fans (6) throughout the home. 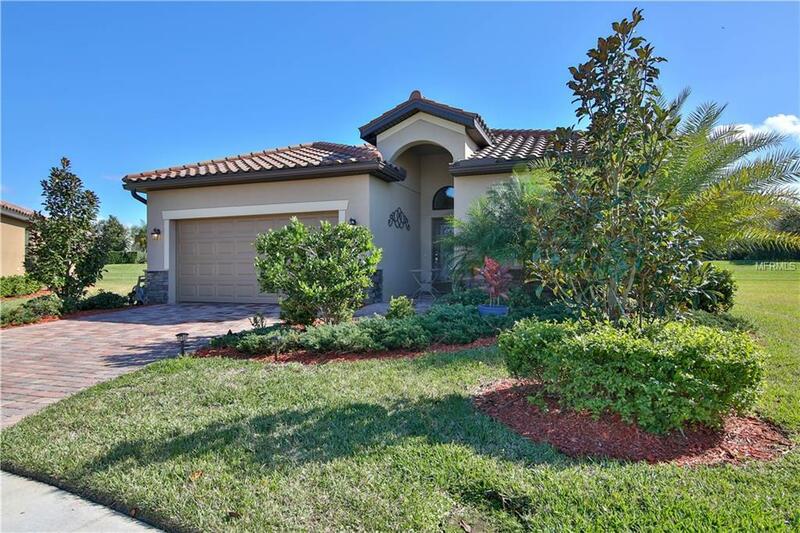 The large family room has sliding doors leading to a covered and screened lanai, the perfect spot to relax, entertain and enjoy the spacious back yard. The dining room is adjacent to the kitchen complete with granite counter tops, a granite topped island for additional work space and storage, stainless steel appliances, a walk-in pantry and new lighting. The master bedroom features a walk-in closet, and an en-suite bath with a dual sink vanity, garden tub and glass enclosed shower. The additional bedrooms and 2nd bath are spacious and perfect for family or guests or offer the flexibility of a home office and more! All yard and landscape maintenance plus basic cable and internet is included in HOA fees. Your quarterly club dues include the use of two fitness centers, 9 tennis courts, multiple heated swimming pools, a tiki bar, pickle-ball courts, a community room, pool table & library room. There are also 2 restaurants & year-round scheduled activities in the community. Make River Strand your paradise! Listing provided courtesy of Wagner Realty.